High Potash content encourages abundant flowering & fruiting. 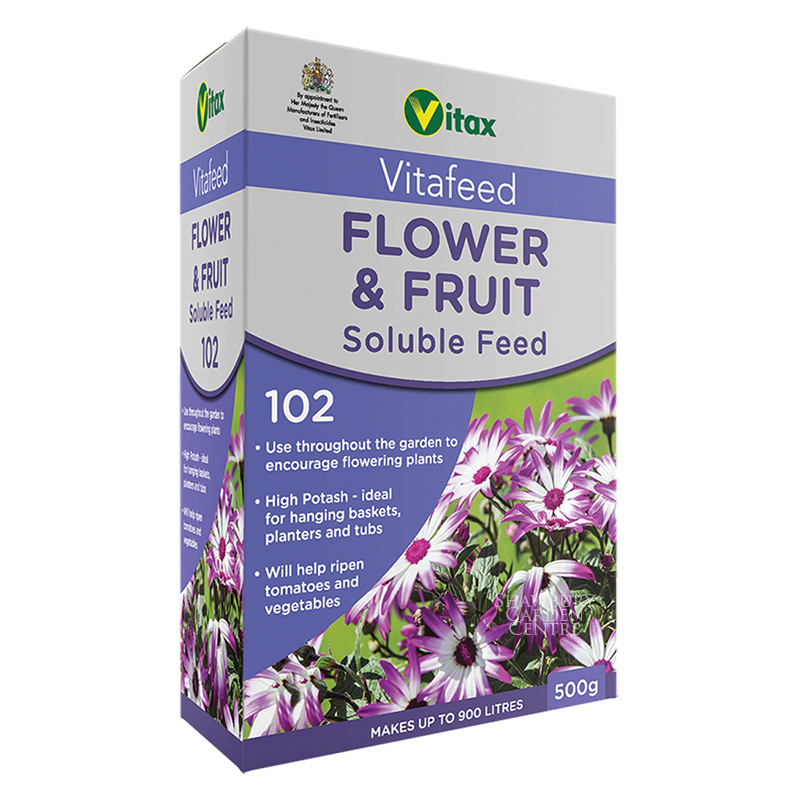 Popular with professional horticulturists and gardening enthusiasts alike, this high Potash soluble plant food can be used throughout the garden to enhance flowering and fruiting. 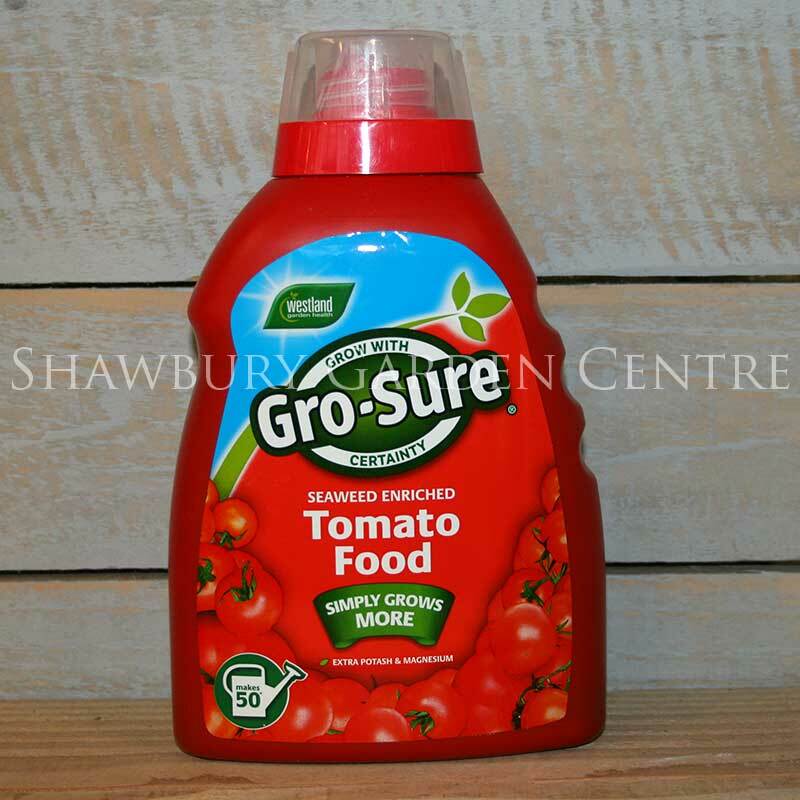 Tomatoes - mix 5g (1 teaspoon) in 9 litres (2 gal). Use in place of ordinary watering, after the first flowers have set and continue feeding throughout the season. 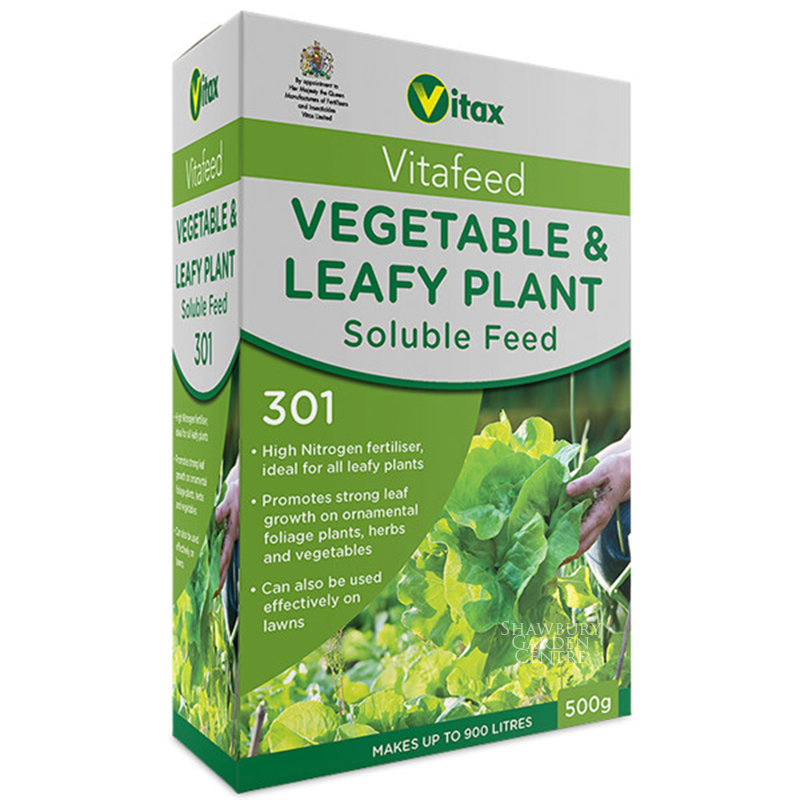 Leeks, Onions, Pumpkins & other vegetables - Mix 5g (1 teaspoon) in 9 litres (2 gal) and apply the feed to the soil or growing media in place of normal watering from the end of June onwards, to increase yield and promote ripening. Hanging Baskets, Tubs and Bedding Plants - start feeding from planting out unless a slow release fertiliser has been added, when feeding should be delayed for 4-5 weeks. 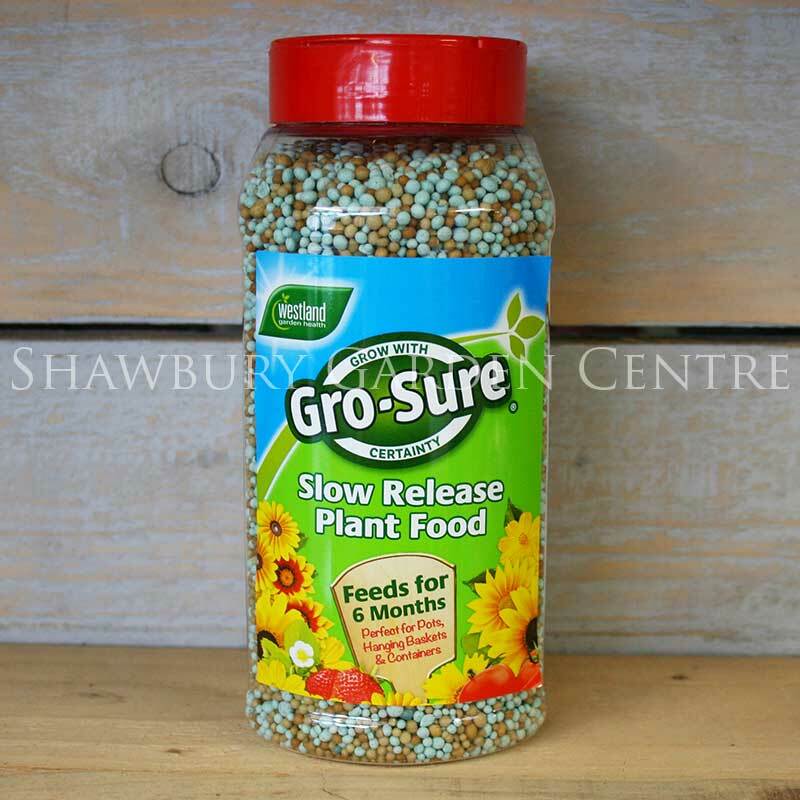 As a weekly feed: add 10g (2 teaspoons) to ever 6 litres (1½ gallons) of clean, cold water. Stir to dissolve and water the soil, compost or growing media. 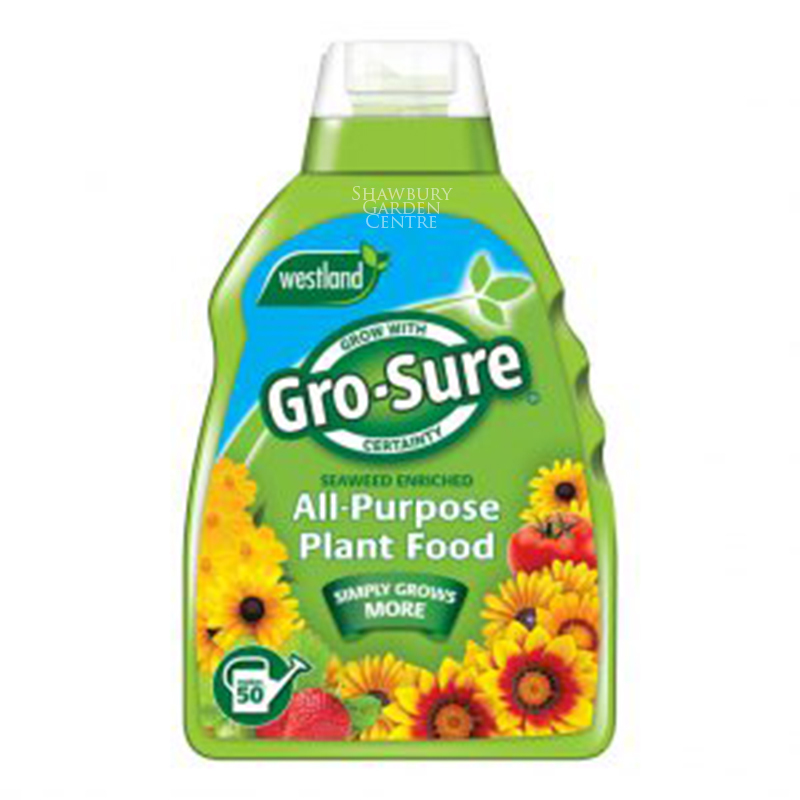 To feed at every watering: mix 5g (1 teaspoon) to every 9 litres (2 gallons) of water. 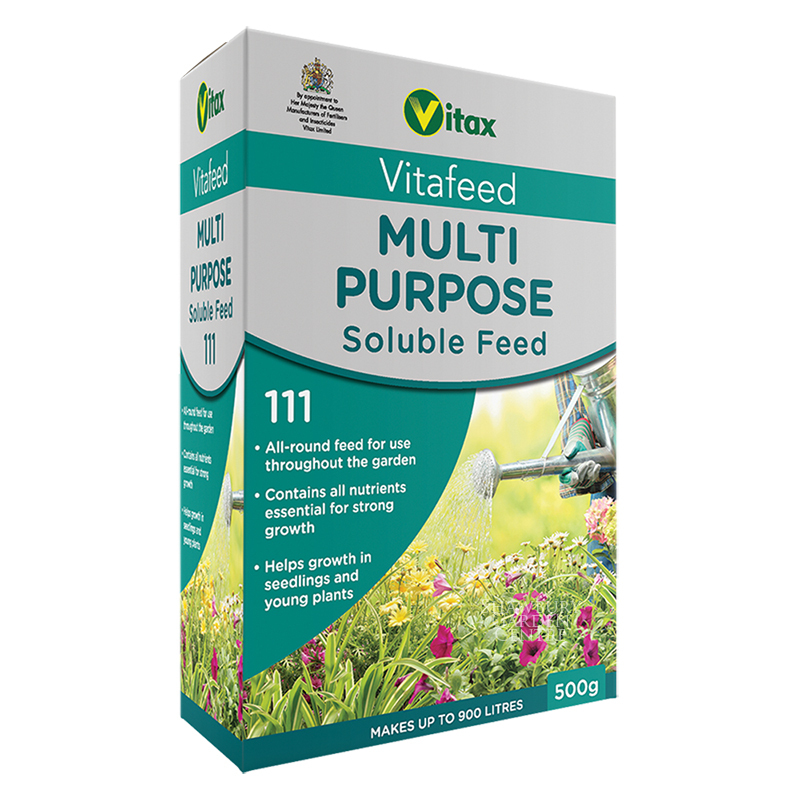 If you would like further information about Vitax Vitafeed 102 Flower & Fruit Soluble Feed, please contact our garden centre at Shawbury just outside Shrewsbury in Shropshire, by calling 01939 251315 or emailing.